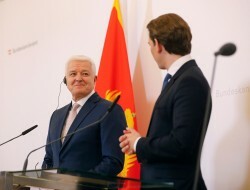 The Prime Minister of the Western Balkan country Montenegro, Duško Marković, and Federal Chancellor Sebastian Kurz stressed in Vienna the good relations and the potential for further cooperation in the economic field. The President of the Republic of Azerbaijan Ilham Aliyev and the Prime Minister of the Republic of Armenia Nikol Pashinyan met in Vienna for the first time under the auspices of the Co-Chairs of the OSCE Minsk Group to discuss the settlement of the Nagorno-Karabakh conflict. 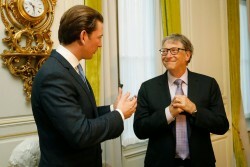 The two heads of state also met with Austrian President Van der Bellen and Austrian Federal Chancellor Sebastian Kurz. Only a few days after the historic renaming of the Republic of Macedonia into the Republic of North Macedonia, Zoran Zaev, Prime Minister of the Republic of North Macedonia, visited Vienna at the invitation of Federal Chancellor Kurz and together they visited the Vienna Opera Ball. At "InvestInAustria" 100 international companies from 16 countries were represented. Three new investments (Heitec , Port Energy Logistic, Lasertec ) with a total investment volume of 30 million Euro could be secured and will create jobs and added value in Austria. 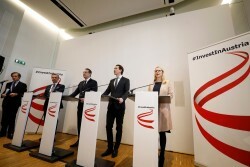 As an output of the previous event, investments amounting to around 380 million euros were made in Austria and more than 450 jobs were created. 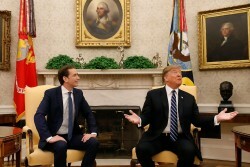 US President Donald Trump and Chancellor Sebastian Kurz met in the White House for a working meeting. The trade relations, the demand for higher military expenditures for Austria, the Nord Stream 2 pipeline project and the Serbia-Kosovo conflict were addressed. 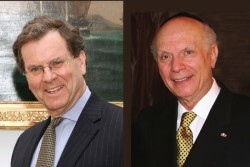 As part of his trip to the USA, Chancellor Sebastian Kurz met David Harris, Executive Director of the AJC American Jewish Committee, and once again Holocaust survivor Rabbi Arthur Schneier. 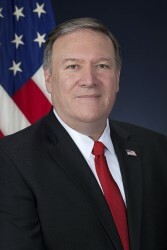 The meeting between US Secretary of State Mike Pompeo and Austrian Federal Chancellor Sebastian Kurz focused on the Middle East conflict. According to Kurz, the USA is currently working on "a solution to the situation in the Middle East". 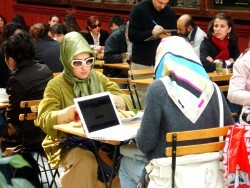 The US will therefore "probably present a proposal" before the end of this year. Chancellor Sebastian Kurz travels to the USA on an official working visit. 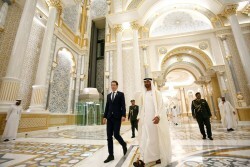 During the trip, Kurz will meet US Secretary of State Mike Pompeo, National Security Advisor John Bolton, Ivanka Trump, and Trump's son-in-law Jared Kushner. The one-on-one meeting with Donald Trump in Washington will last only about 15 minutes. The High-Level Forum Africa-Europe met at the ACV-Austria Center Vienna to focus on "Taking cooperation to the digital age". 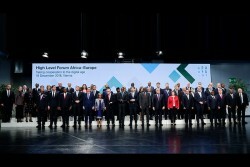 The debates focused on the cooperation between the European Union and African countries in the areas of innovation and digitisation, in particular the question of how the benefits of digital change can benefit everyone. A colonel of the Austrian Armed Forces is suspected of having worked for decades with a Russian intelligence service. 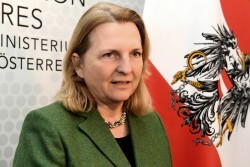 Foreign Minister Kneissl quoted the Russian chargé d'affaires to the Foreign Ministry and cancelled her planned trip to Russia. 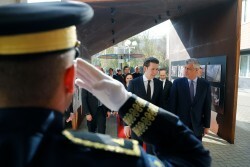 Austrian Federal Chancellor Sebastian Kurz visited Serbia and Kosovo during a trip to the Western Balkans. Since the last clash between the two heads of state Vučić and Thaçi in September, the talks have been suspended there. 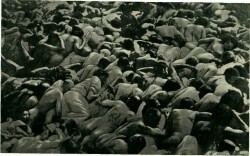 The EU should continue to support the search for a solution to the Kosovo conflict. 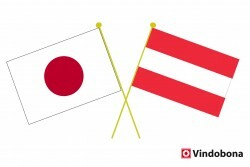 In 2019, Japan and Austria will commemorate the 150th anniversary of the establishment of diplomatic relations between the two countries. As part of the preparations for the celebrations, an increasing number of meetings and consultations are currently taking place between the two countries. 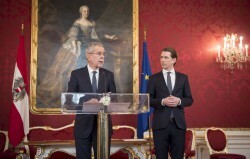 Austria will follow the US and Hungary in backing out of a United Nations pact on migration (Global Compact for Safe, Orderly and Regular Migration) over concerns that it will blur the line between illegal and legal migration. 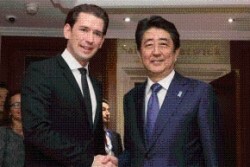 During the Asia-Europe Meeting (ASEM) Summit in Brussels, Mr. Shinzo Abe, Prime Minister of Japan, and Federal Chancellor Sebastian Kurz met for bilateral talks. The meeting focused on the 150th anniversary of the establishment of diplomatic relations between Japan and Austria next year, the new tax convention between Japan and Austria, the Japan-European Union (EU) relations and the situation in North Korea. The Prime Minister of the Socialist Republic of Vietnam, Nguyễn Xuân Phúc pays a visit to Vienna in the run-up to the Brussels ASEM Summit between the EU and Asian states. After the visit in March 2016, which was cancelled at short notice, Iranian President Hassan Rouhani was on a state visit to Vienna this week, accompanied by massive anti-Iran protests. The aim of the visit was a joint commitment to the Iran nuclear deal after the deal was approved in Vienna three years ago. The visit was overshadowed by a diplomatic case involving an employee of the Iranian embassy in Vienna, who had been arrested last weekend by the German judicial authorities on the basis of a European arrest warrant on suspicion of terrorism. 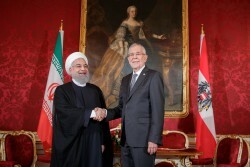 The Federal Chancellery has now officially confirmed that Iranian President Hassan Rouhani will come to Vienna on 4 July for an official visit. Of course, the visit is mainly about the nuclear deal. After the USA's exit, there is considerable pressure on Rouhani. 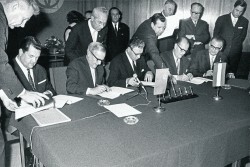 On 1 June 1968, a historic gas supply contract was signed in Vienna, establishing Austria’s role as a key country in Europe’s natural gas network. 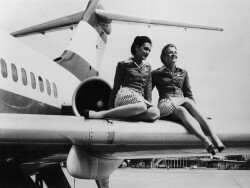 The 50-year collaboration with Russia is a win-win situation. Then, as now, natural gas plays a key role in OMV's portfolio, as European demand will continue to increase over the next decades. OMV is Gazprom’s main partner in Austria. 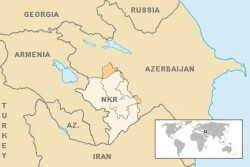 The companies cooperate in gas production, transportation and supplies. OMV has formally confirmed the extension of the gas supply contract with Russia's Gazprom on the occasion of the visit of Russian President Vladimir Putin to Austria by the two CEOs Alexey Miller and Rainer Seele. German semiconductor manufacturer Infineon is investing in Carinthia in the largest chip factory in Europe. 1.6 billion euros will be invested in the construction of a new semiconductor factory at the Villach site. 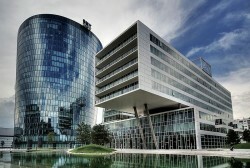 Adjusted operating profit amounted to EUR 818 million, up 2% year-on-year. 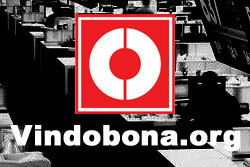 Net income was also in line with forecasts, although net income for the period fell by 43% year-on-year. One of two key events was the signing of a concession agreement for the acquisition of a 20% stake in two fields offshore Abu Dhabi from ADNOC, as well as two satellite fields. 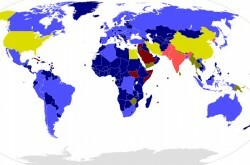 The agreed participation fee amounts to USD 1.5 bn and the duration of the contract is 40 years. On 1 July 2018, Austria will take over the Presidency of the Council of the European Union from Bulgaria. 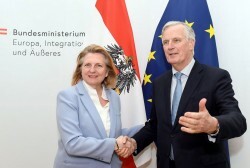 During its Presidency of the Council of the European Union (1 July to 31 December 2018), guided by the motto "A Europe that protects", Austria will focus on three key areas: security and the fight against illegal migration, retaining competitiveness through digitalisation, and stability in the neighbouring regions (particularly the accession of the Western Balkans to the EU). 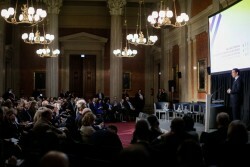 The Vienna Energy Forum 2018 in May in Vienna brings together a multitude of people and institutions to discuss and solve the key questions of the present on the topic of energy. 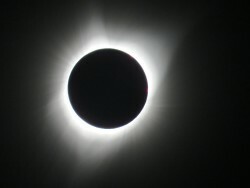 Among them are heads of state, ministers, energy experts, representatives of international and non-governmental organizations, academia, civil society and the private sector. 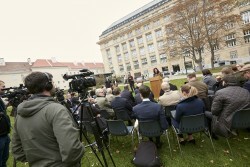 The PFAN Climate and Clean Energy Investment Forum and the R20 Austria World Summit are also part of this huge event. This event, sponsored by Arnold Schwarzenegger, is a high-level summit about leadership on implementing the Paris Climate Agreement and the United Nations Sustainable Development Goals. 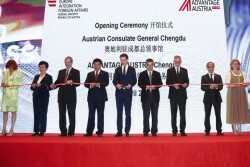 Austria has set up a consulate general in Chengdu, capital of southwest China's Sichuan Province, with President Alexander Van der Bellen, Chancellor Sebastian Kurz and Foreign Minister Karin Kneissl attending the opening ceremony during their state visit to China. 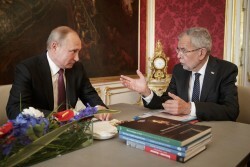 Van der Bellen also expressed his wish for a new male panda bear. Austria's largest state visit to China to date is about to take place. Four ministers will travel to China from 7 to 12 April with President Van der Bellen and Chancellor Kurz. 170 Austrian companies with a delegation of around 200 people are also on board. The expectation is high that various agreements between Chinese and Austrian companies will be signed. 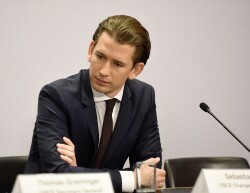 Chancellor Kurz Visits President Putin: "The situation in Syria is dramatic"
Austrian Chancellor Sebastian Kurz traveled to Moscow to meet Vladimir Putin. The focus of the trip was a working meeting with the Russian President, with whom Kurz discussed, among other things, the bilateral relations of both countries, the relationship between Russia and the EU, the Ukraine conflict and the current situation in Syria. 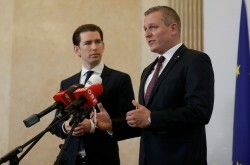 The new Austrian government is planning a zero deficit for next year, Chancellor Sebastian Kurz (ÖVP) and Vice-Chancellor Heinz-Christian Strache (FPÖ) have announced. The planned reduction in corporation tax could be of interest to foreign investors and companies. Germany will chair the OSCE until the end of December and will then hand over to Austria in 2017. 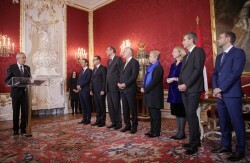 Austria will promote greater security and stability as well as the preservation of common values within the OSCE region. 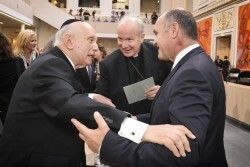 Austria Takes Over OSCE Chairmanship: "Need for Decisive Action!" 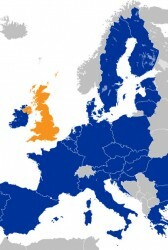 Mitterlehner hopes that the referendum will end in Britain staying in the EU. Kurz says, that Brexit would be terrible. Fiat could relocate production of agriculture and construction machine maker CNH (Case New Holland) from UK to Steyr in case of Brexit. Foreign Ministers of the 18 member states of the Central European Initiative (CEI) met in Bosnia Herzegovina, which holds the initiative’s annual rotating Chairmanship this year. 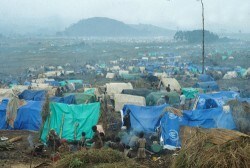 Discussions mainly focused on the refugee crisis and potential solutions. EU High Representative Federica Mogherini met with Sebastian Kurz in the margins of the CTBT Ministerial in Vienna on 13 June. 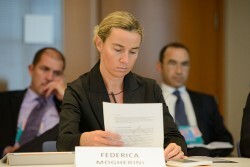 Mogherini und Kurz stressed their support for the entry into force of the CTBT and the importance of nuclear disarmament and non-proliferation.